The incredible Grateful Dead cover act – Dark Star Orchestra are coming to Stage AE on Thursday 10th August 2017! Book your tickets before it's too late! 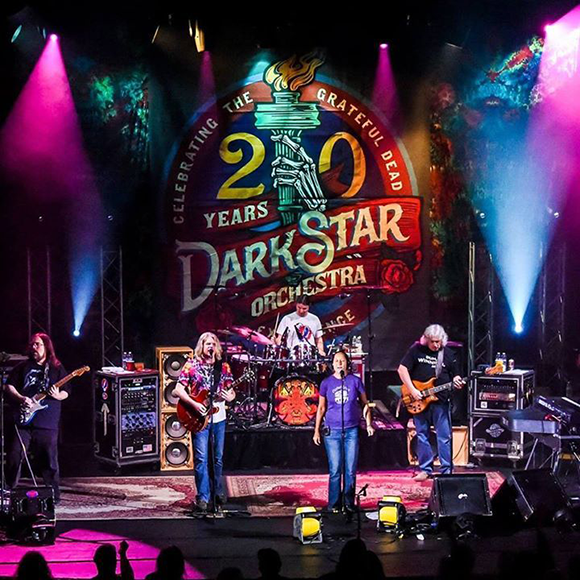 The Dark Star Orchestra are not your average tribute act, they exceed expectations in giving Grateful Dead fans a night to truly remember and hold dear to their hearts. These guys sure know how to rock the stage and leave you wanting more. Join them as they embark on a North American tour and bring the Grateful Dead's back catalogue into the present! "Enter Dark Star Orchestra, a group of highly talented and devoted musicians who have made a nice living out being THE Dead tribute band." "DSO is the best Dead band going. Their sound is spot on. If they’re recreating February 22, 1974, they capture the hazy, lazy sound of that era. If it’s a mid-1980s show, Dark Star nails down the speedy, more up-tempo sound the Dead had. Simply put, you cannot get the true sound and essence of the Grateful Dead today anywhere more than a Dark Star Orchestra show."